AC or DC coupling refers to the way in which solar panels are coupled with and interact with a battery system. A hotly debated topic among solar installers today is whether AC or DC coupling is the best approach for solar+storage installations and retrofits. The truth is there really is no right or wrong answer. Both approaches have their merits, and the optimal approach depends entirely upon the application. 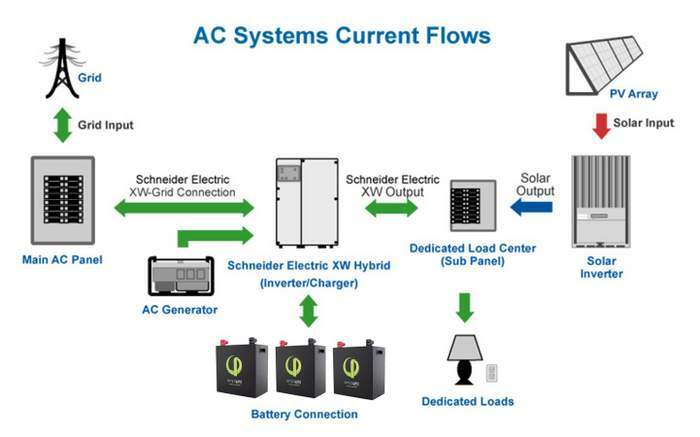 AC coupled systems require two inverters: a common grid-tied solar inverter and a battery-based inverter. This means that the energy used by the batteries may be inverted as many as three times before being used in the home — i.e., from DC (PV array) to AC (load center) through the solar inverter, then back to DC (batteries) through the battery-based inverter, and then back to AC again (home loads). See Diagram 1 below. Small losses occur through each inverter, resulting in a reduction in overall system efficiency. Therefore, while AC coupled systems may be easier to install, using battery storage to cover AC loads is likely to result in a marginal decrease in efficiency. 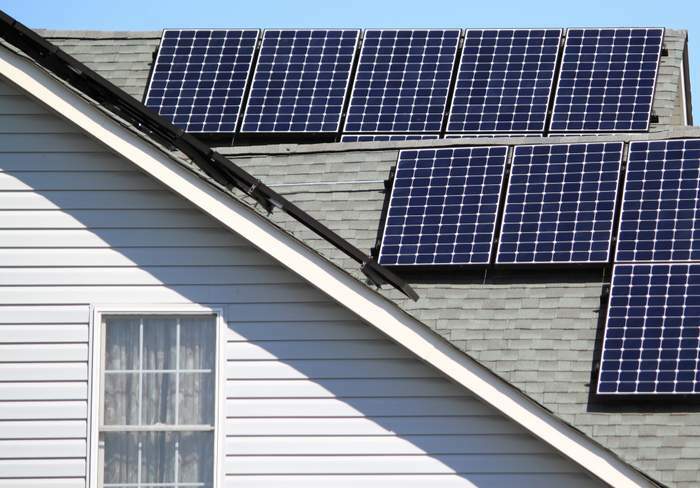 However, AC coupled systems can be much more convenient for retrofits in which customers want to add batteries to existing residential grid-tied solar systems. One only needs to purchase an additional battery-based inverter to connect the batteries. Because of the ease of installation, AC coupling can be ideal for grid-tied residential battery backup systems as well as large commercial systems, especially for retrofits where solar panels have already been installed. 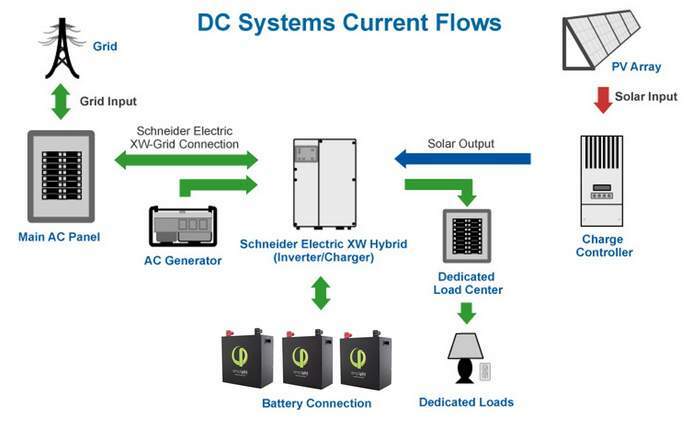 DC coupled systems use a charge controller to directly charge batteries with solar generation and a battery-based inverter to power home loads (AC). See Diagram 2 below. As a result, DC coupled systems are slightly more efficient than AC coupled systems because the power is not inverted multiple times. However, they often require more labor to install because the charge controllers tend to require smaller strings from the PV array. When it comes to solar+storage retrofits, DC coupled systems present more challenges because the existing grid-tied solar inverter must be entirely removed and replaced with a battery-based inverter. In most cases, the existing PV array wiring will also need to be reconfigured. DC coupling is ideal for new on- and off-grid solar+storage system installations in both residential and small commercial applications, but not retrofits with existing solar panels. There are many factors that determine whether AC or DC coupling is best suited to a given application, so it’s important to understand the particular conditions and constraints of each project. Be sure consult with the battery manufacturer and/or the inverter manufacturer(s) to help you design the best energy system that optimizes the cost and performance of all the equipment for your particular project.